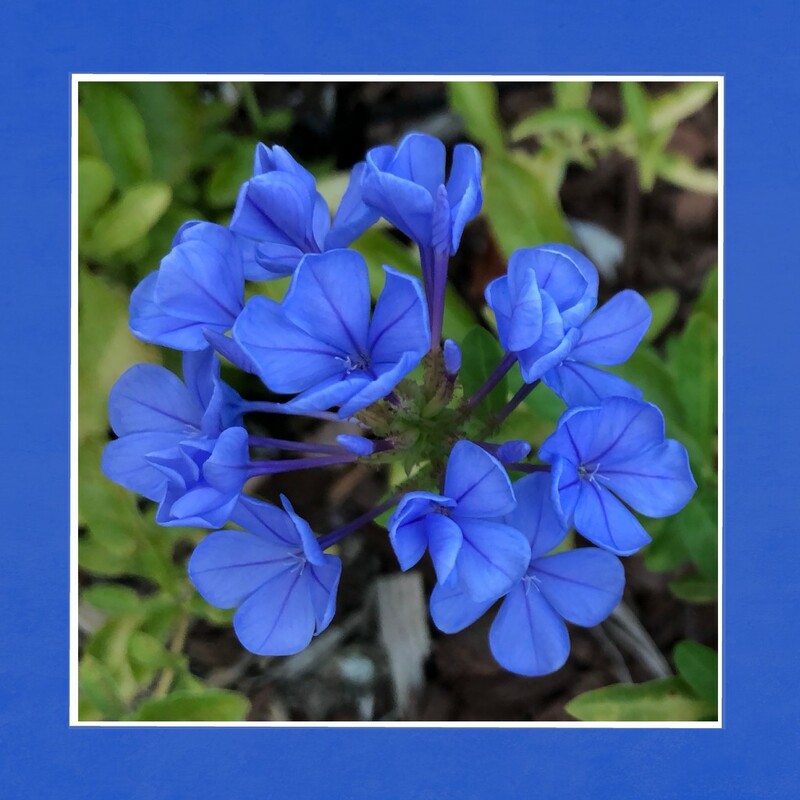 This plumbago is dormant right now, so I used a photo I took the past summer and framed it today. LOVE plumbago, such a brilliant blue. Fabulous picture! Love the way you framed it. Fab blue and a lovely presentation ! Absolutely beautiful color! Love the texture detail in the flowers! Fav! @judithdeacon And it has such a fun name. @stownsend @stevepam I don’t usually frame, but it seemed to help the calendar.